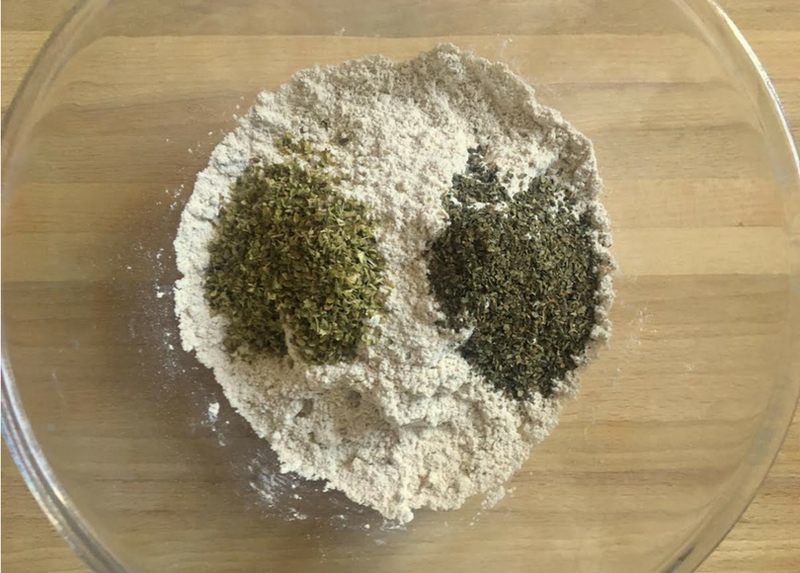 This recipe is packed full of healthy ingredients that will benefit your furry friend. Although we can’t guarantee that they will help your dog to see in the dark, carrots do come with a whole wealth of health benefits. Carrots are high in fibre which helps to promote healthy digestion to keep your dog healthy and regular in the toilet department. They’re also packed with vitamin A to help strengthen your dog’s immune system. 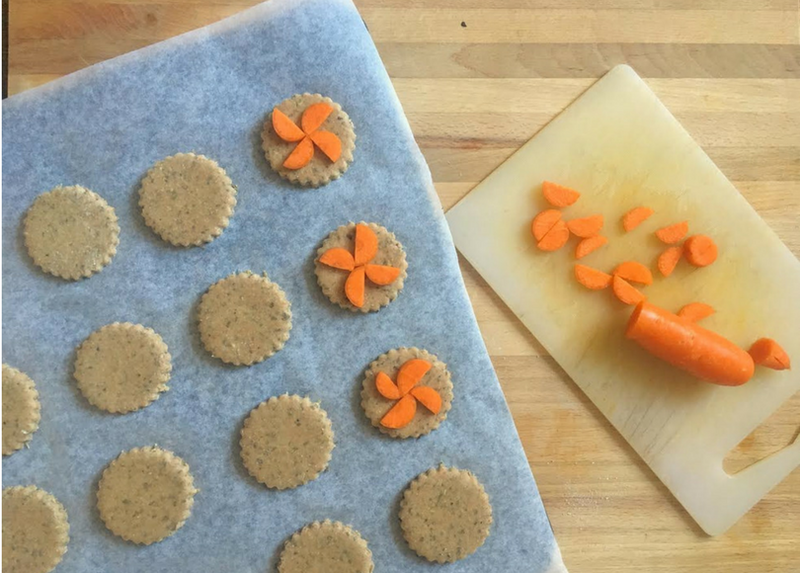 We chose chopped carrots to use as a topping on these treats, but you can always use shredded carrot instead if you prefer. We’ve also added a couple of dog-friendly herbs that boast great health benefits, two examples of which are basil and oregano. Herbs such as Basil and Oregano not only provide extra vitamins, minerals and antioxidants to benefit the immune system, but are also full of flavour for your dog to enjoy. According to office dog Bandit, they’re both delicious. 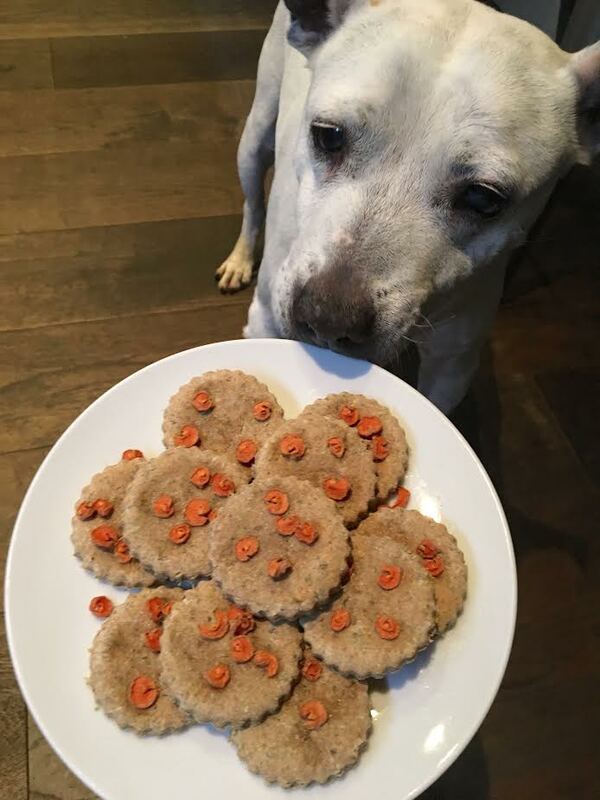 We know it can be tempting to give in to those big, soppy eyes but please do remember that like all treats, these should be given in moderation. Made them today,left them on the worktop to cool and my husband came into the lounge and told me that the biscuits I’d made were delicious and Levi also thought they were great, will now have to hide them from both. Yes I did sneak one! ( Not even our dog but pour sons’.